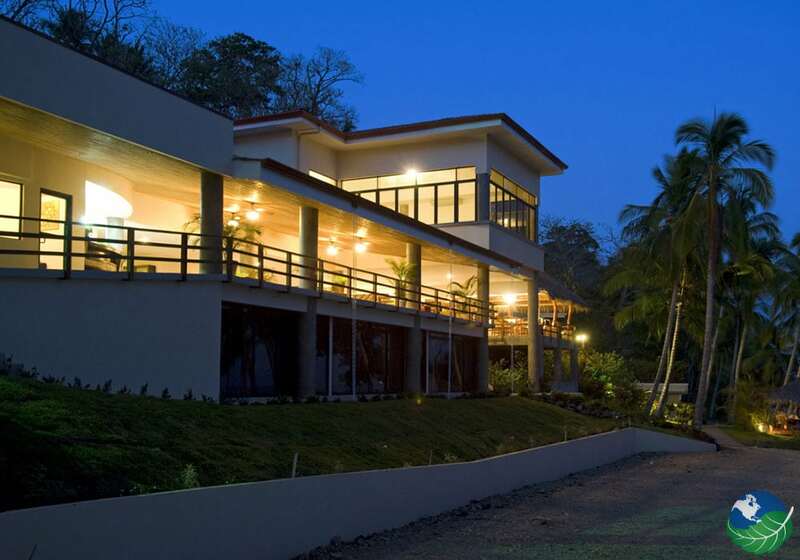 Tango Mar Resort is an enchanting hotel and golf resort on Costa Rica’s pristine Nicoya Peninsula. It is the perfect Hotel for birders, family travelers, honeymooners and adventure seekers. Tango Mar is conveniently located near some great sites and tours such as birding, sport fishing, rainforest tours, snorkeling, scuba diving, horseback riding and more. 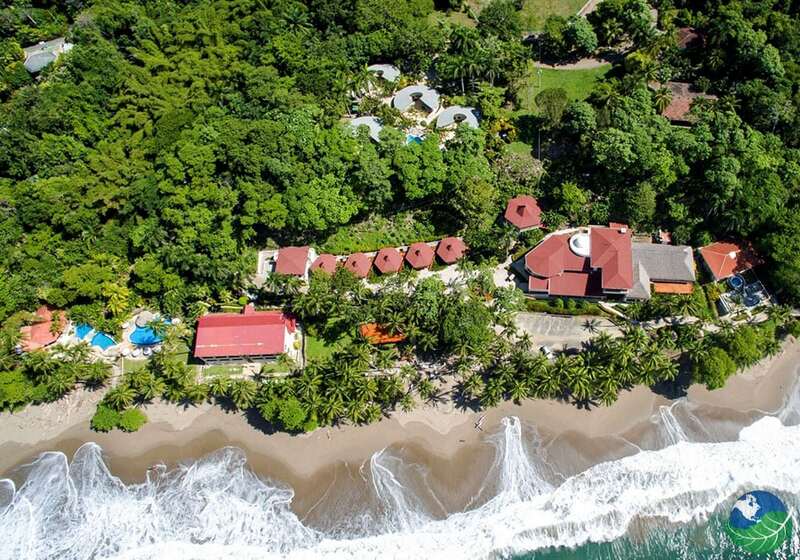 Not only that, but the exclusive proximity to Montezuma, Cabo Blanco Natural Reserve and Tambor make it an excellent choice on your next vacation to Costa Rica. All of the Tango Mar Resort’s 18 beachfront rooms have breathtaking views of the Ocean from each of their private balconies. Each room includes 2 Queen beds, uniquely designed furniture, ceiling fans. Also, air conditioning, a mini-bar, a coffee maker, hot water shower, private bathroom, safety deposit box, telephone, and satellite television. 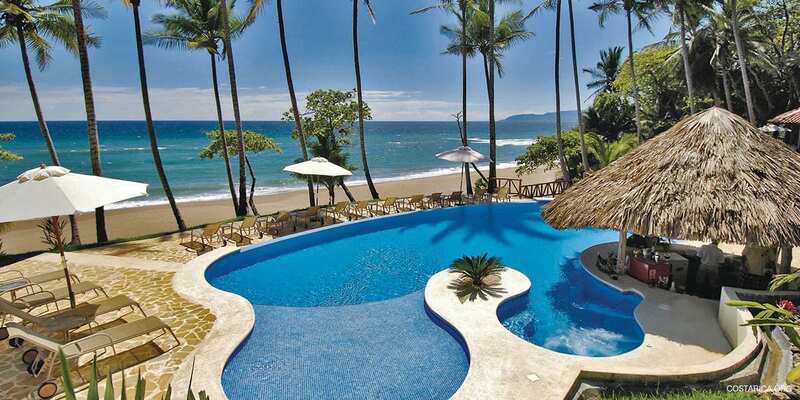 Every single one of these over-sized beach rooms is located close enough to the Pacific Ocean, by the beautiful Nicoya Peninsula. When the tide is high, the waves touch the foot of the resort. 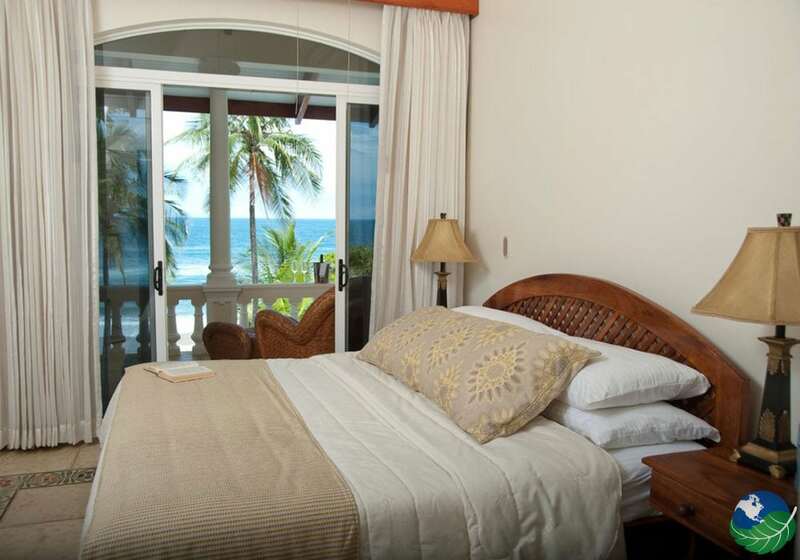 The calming noise of the waves will relax you and have you sleeping soundly during your entire stay. 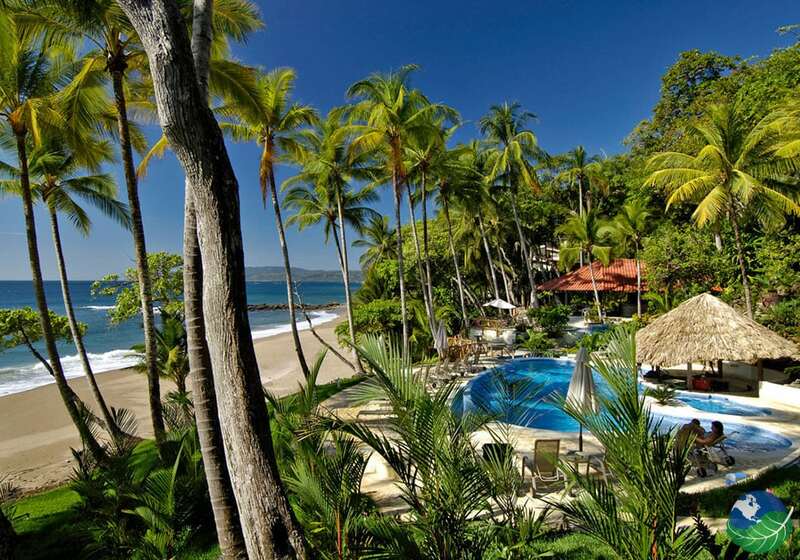 Firstly, indulge in a vacation at one of these twelve tropical Suites. Each of these exclusive and captivating suites encompassed by lush gardens and only 100 feet from the shore of the beach overlooking the Pacific Ocean. Also, beautifully decorated, each room is embellished with hand-made four post King canopy beds. Each of the suites at Tango Mar Resort has ceiling fans, air conditioning, private bathrooms with a jacuzzi tub, hair dryer, coffee maker, mini-bar, safety deposit box, satellite television and telephone. All rooms are situated in a circular manner and a shared sun porch. The five Tiki Suites have Ocean views, bamboo cabanas and Polynesian wood. Situated on stilts 60 feet (20meters) to the beach. The Tiki Suites come enclosed by Lush gardens and many tropical trees. 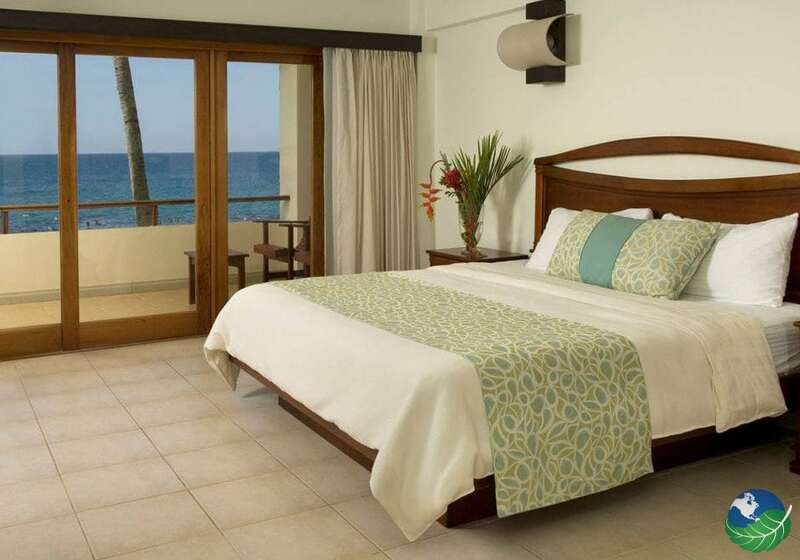 Each of the tiki suites at Tango Mar Resort’s decorated with a wood carved king bed. Also, coffee maker, a mini-bar, safety deposit boxes, and a circular glass stained window. 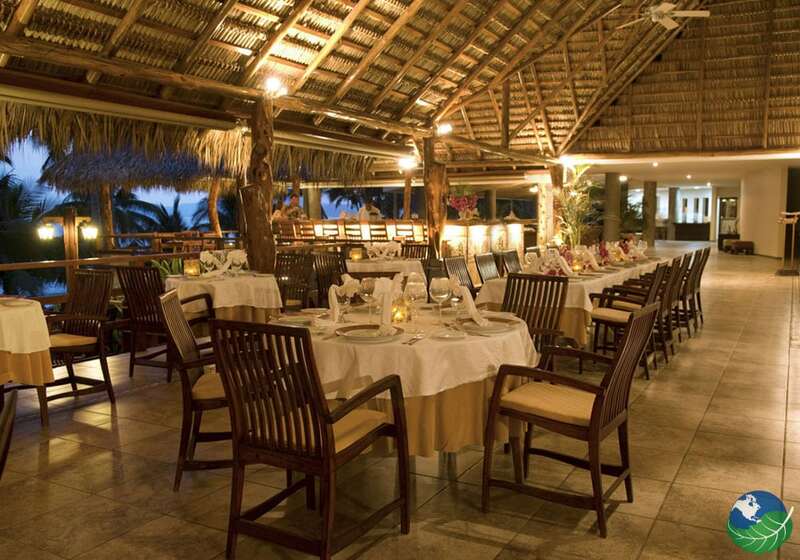 All this makes Tango Mar a fantastic resort for a beach vacation with exciting activities. Do not hesitate to contact us to make your dream vacation come true!